Hi! 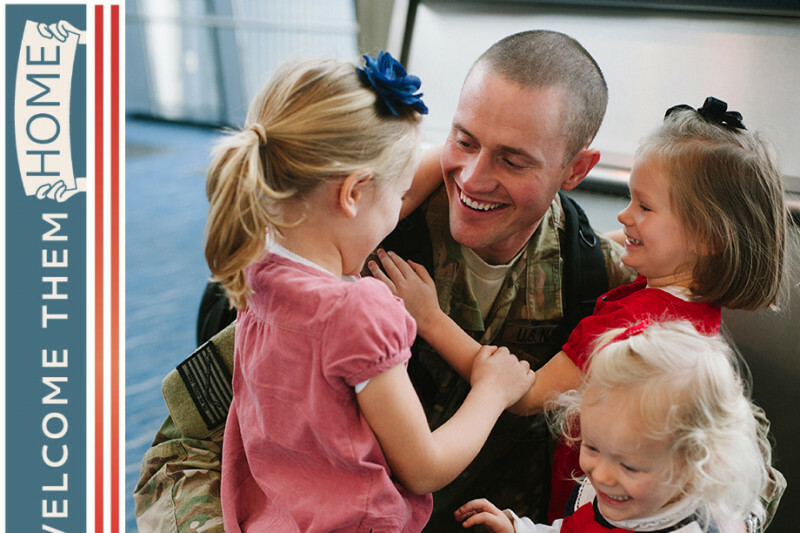 I founded "Welcome Them Home " in 2012 as a network of photographers who donate time and skills to soldiers and their families as a thank you. Each photographer in the network has agreed to photograph a soldiers homecoming, free of charge. Since we began, our network has grown from only a few photographers to the nationwide! As exciting as it is, I have realized that I want to be able to serve the photographers and families better by improving the website and providing contracts for myself and the photographers. In order to do this, we need to raise money! This round of fundraising is for a new website and any additional funds will be used for yearly legal and tax purposes. Our past fundraising efforts raised $2,360, which paid for legal fees and also for us to become a State and Nationally Recognized Tax Exempt Non-Profit. This means all your donations will be tax-deductible! We are inching closer and closer to our goal and I cannot thank you enough for your donations so far you guys. Every single penny will go towards keeping Welcome Them Home alive and also towards improving the functionality of the website for everyone (families, photographers, and me!). Thank you to everyone who has donated and shared so far! We are getting closer but we still have a way to go to be able to fund the new website. Please do share this on your social networks to help us get the word out! I am so excited to announce that we are beginning our big 2018 fundraising push in order to pay for a new website. Currently, our network is on "pause" until we have the new site up, so we are itching to get the new site built. We have met with a free-lance website builder named Max, who is going to be building the site for us. All we have to do now is raise the money to do so!!! Let's do this thing!!! As a Welcome Them Home photographer I LOVE being a part of this organization and what we do for the families of returning soldiers. It's so heartwarming when you get to capture those beautiful moments. Please help us grow! I've loved being a photographer with this organization!